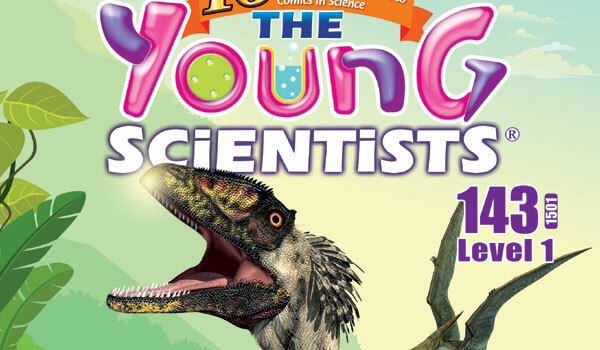 The Young Scientists (popularly known as TYS) is no ordinary comic book. An in-depth illustration and design to promote literacy and interest among children from of ages five to 12, it consists of science-related topics like plants, body, hygiene and food. Originating from and published in Singapore, it took the company Tulip Medcom by great interest and sparked their initiative to attain publishing rights. a�?My daughter used to like the book a lot and learned to be inquisitive through it. But when the exchange rate with Singapore made it expensive to import, we got the publishing rights for the series,a�? begins Vishwanatha Matad, who is the director of scientific content at Tulip Medcom. With colourful pictures and story narrations, the book takes an easy all-round approach to science. Fun facts at the bottom of the page and interesting practice sheets at the end of each chapter add to the educational aspect. We love that they have a simple dictionary to explain words without Google or even needing to put down the book. And the introduction to animals (including the different types of dinosaurs) takes this one beyond the usual offering. Consisting of three levels divided into age categories, the information has already been a great help to schools as it complements the Indian schoolsa�� syllabi. a�?It is easier for students to comprehend their lessons through photos and illustrations. With children being more drawn towards electronic gadgets, it is important to use different methods to get their attention,a�? shares Matad, adding that one little user who disliked pumpkins turned into a fan after reading a�?the fun facts about pumpkinsa��. While Level 1 endeavours to open up the world of science to curious minds in a simple format, the highest level explores the intricacies and mysteries with articles, challenging questions and meaningful experiments to build confidence in kids.